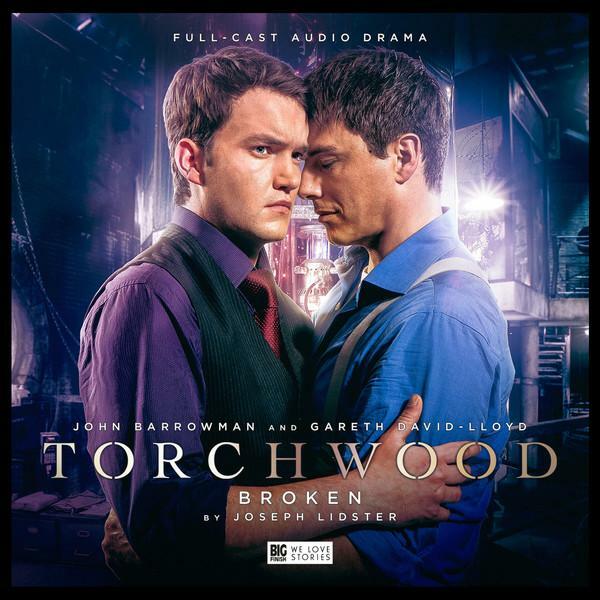 Beginning in the immediate aftermath of Cyberwoman, in which Ianto Jones’ girlfriend Lisa (the eponymous half converted cyberwoman the episode was named after) died, before weaving its way through the middle half of the first season of Torchwood, Broken is a multi-angled study of a man trying to come to terms with everything that he has seen, done and lost in the pursuit of his career, while he grimly clings on to the one thing he has left. His job. The quiet man, and backbone of Torchwood, Ianto was never really given the space, as a character, to breathe during the show’s opening stories and only really came into his own when his burgeoning relationship with Jack allowed the spotlight to occasionally shine in his direction. Yet, the mystery of how his relationship with Jack developed and changed, of how he came to forgive him after Lisa’s death, how he discovered his place and role on the team and what happened to him to make the Hub become the centre of his whole world were omnipresent throughout the series. Now howevere, all of those questions, and many more, are answered in Broken, when Ianto opens his heart to a stranger, finds a home away from home, solves a mystery rooted in extra-terrestrial (and not so alien) greed, starts to come to terms with who he is and what he’s done, is saved and rescues Jack. As if that wasn’t enough, it even features that rarest of rare Torchwood beasts, an ending in which everyone lives happily ever after. Got you, there’s no such thing in Torchwood, because, as usual, not everyone lives, and happiness is relative when you spend your days ensnared in conspiracies and battling the things that constantly emerge from the rift. That said, if there was such a thing as a “happy ending” in Ianto and Jack’s Universe, this would probably be as close as it gets to being one.